Which Backyard Cat Enclosure is Best for My Cat? 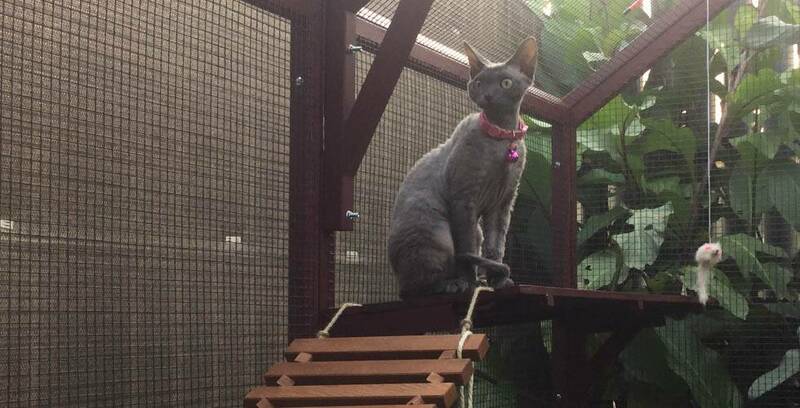 Home / Learning Centre / Which Cat Enclosure is Best for My Cat? Which Cat Enclosure is Best for My Cat? Your cat would love to get outside. You can tell by the way they gaze longingly out the window. The way they attempt to dart past the screen door anytime you let your guard down. 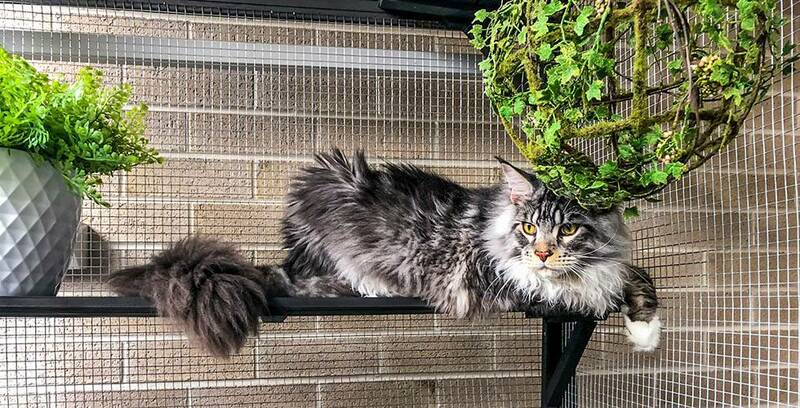 You want to give your cat the furbulous adventure they crave, but you also want to keep them safe from the multiple threats that lurk just beyond the back fence. An outdoor cat enclosure is the purrfect compromise for wanderlust cats and their wary owners. Do you have multiple cats and do they get along? If you have multiple cats that get along well then you can select a smaller space. If your fur-mily of feisty felines prefer their own territory, then you will have to make sure they have enough space to be comfortably independent within the enclosure or cat run. For a fur-mily of 2-3 cats we suggest the Paws Playhouse cat run at a minimum. You can also keep your cats shaded and dry with some insulated roofing for extended stays outside. Just because you don’t have a backyard, it doesn’t mean your cat misses out on experiencing the great outdoors. A smaller, portable cat enclosure is a great idea for cats who live in apartments and townhouses. 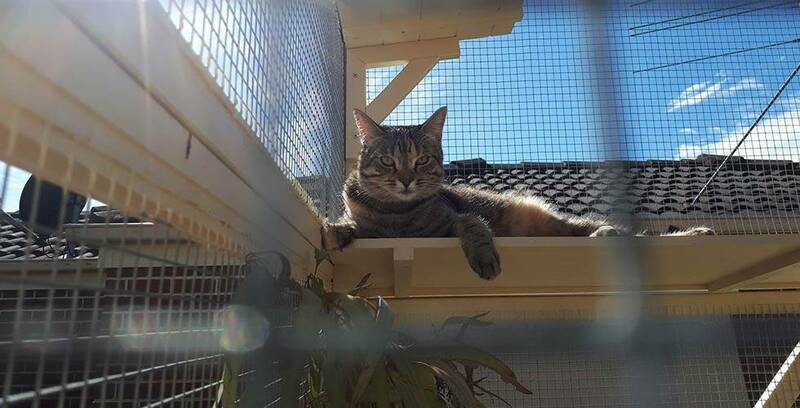 We suggest the Kitty Kondo portable cat enclosure for pudda’s with apartment balconies and patios and the Meow Manor is purr-fect for a townhouse tabby cat. Do you have a small backyard? For those with one cat, or two close fur-siblings, we suggest a Meow Manor cat enclosure for a small backyard. 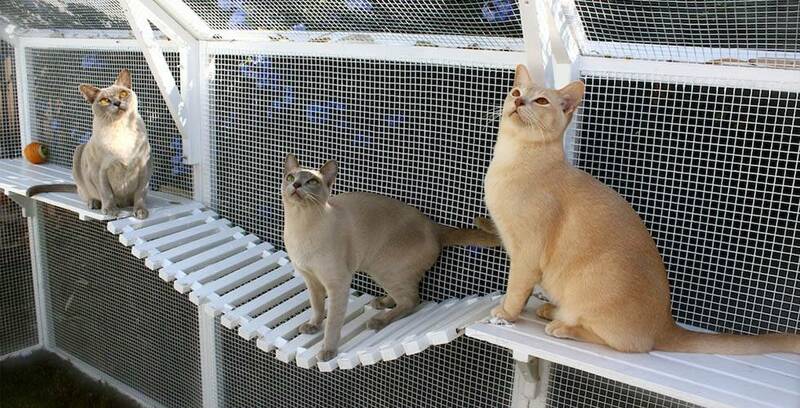 The vertical space and enclosed cat house gives your cat the chance to oversee their kitty kingdom from way up high or snuggle and sneak in a secure and weather-proof space. For two or more cats, or one very lucky solo kitty, the Paws Playhouse is the ideal outdoor play-space to keep your cat frisky for hours. Do you have a large backyard? For those with more room to play with, or a large fur-mily, the ultimate outdoor cat enclosure awaits. Are you a cat breeder, cat rescue organisation or collector of fine felines? Then our Claws Cabin or Claws and Paws Combo is the cat enclosure of choice. Spacious, secure and purr-fect for all weather and even overnight stays. If you’re after a large, secure and versatile outdoor play space for your cats, the Double Paws Playhouse is our top pick. This 6m long beast of frisky fun is a wonderland for your cats, full of possibilities for play and sunny cat naps! Ready to pounce on some backyard fun? Have a peek at our range of cat enclosures, cat runs and cat accessories right here, hooman.